A baker’s dozen of the legendary original Beer Sticks. Moons Green Beer Sticks have earned a reputation in some of London’s finest pubs as the perfect accompaniment to a pint of our finest beers. It might well be down to the surprise chilli tickle that kicks in about 15 seconds after your first bite. 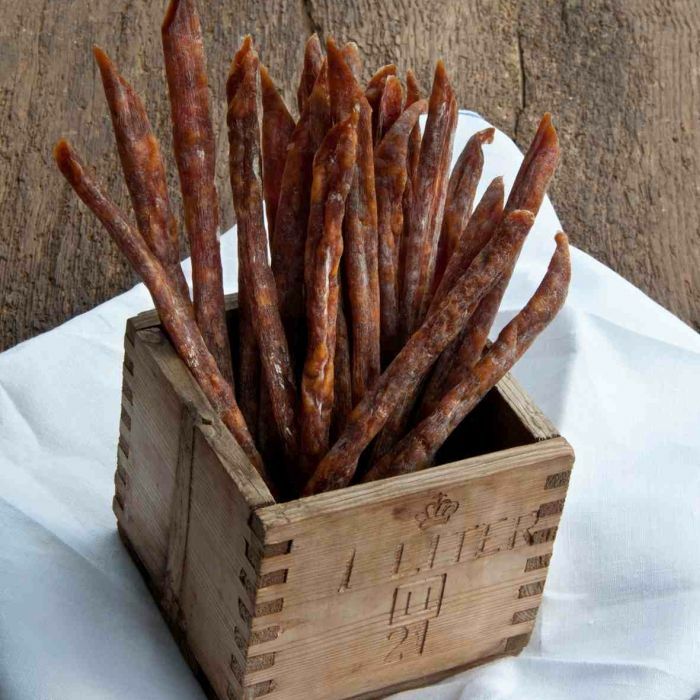 They’re a very satisfying snack at any time, and are made from our best free range pork shoulder and leg.